NordPath+ is the playground for collaborations of NordPathlers with artists from various genres like dance and visual arts. As musical genres are meaningless to us, we seek to fuse different forms of artistic expression, and also science. These collaborations pose challenges and open new viewpoints. The relationship between music and dance is the starting point of SHAPE OF MOVING WAVES, a performance created by InCapsula. Based on the physics of sound’s principles, this piece investigates the reactions between musicians and dancers. We are constantly surrounded by a multitude of different sound frequencies and intensities that generate a never-ending vibration-movement of particles that we are not able to see. Sound does not need a body to dance, its particles are already dancing in space. 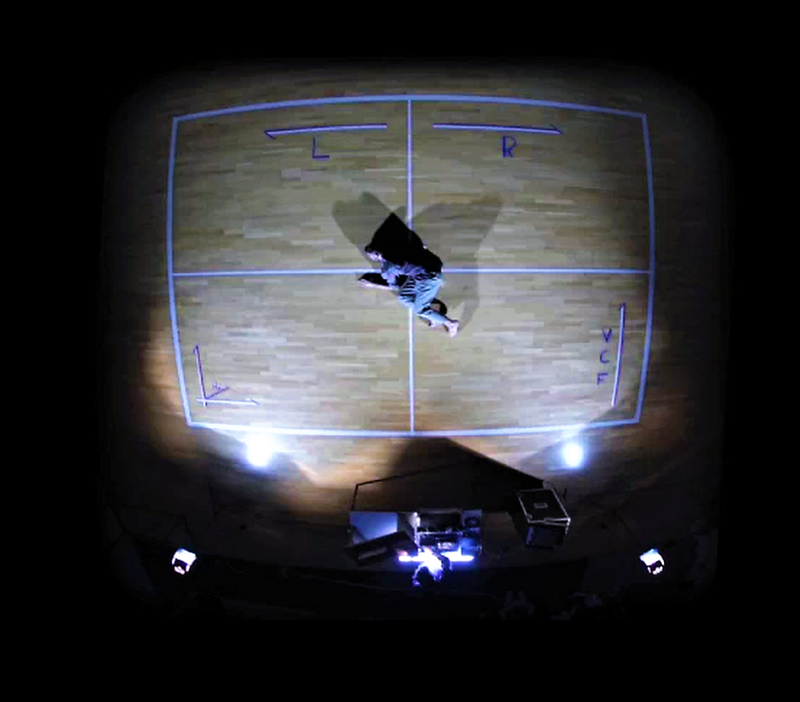 Movements and sounds travel along the stage following pre-set parameters linked to a Cartesian plane projected on the floor. The space mediates between music and movement in an intricate dialogue that gives shape to the spherical movement of sound. “Shape of moving waves” explores the utopia to invert the law of sound physics. The music generates and propagates movement while the dance, as representation of particles, explores the transfiguration of sound in an attempt to achieve independence. The eyes can finally see what the ears can hear.